Over the past decade or so there have been huge advancements in technology. Smart technology like mobile phones and connected thermostats are now starting to be employed in the kitchen. You will be able to control your oven through an app like your home security or lighting. Does it really help and is it worth buying as a feature over traditional ovens? In this article, we will explore the answer with two brands, Dacor and Jenn Air that have already introduced this technology, but employ it in different ways. Dacor is an American made, family owned company based out of Northern California. The third generation of the Joseph family, brothers Mike and Tony, are responsible for huge growth within the company in the 1970's. They produce luxury products and revolutionized many concepts in the world of kitchen appliances, including the introduction of the 30" PureConvection™, Self-Cleaning Built-in Wall Oven, released in 1987. Jenn Air was established in 1947 and pioneered the downdraft ventilation system. They were acquired by Maytag in the 80’s and then both companies were bought by the Whirlpool Corporation in 2004. 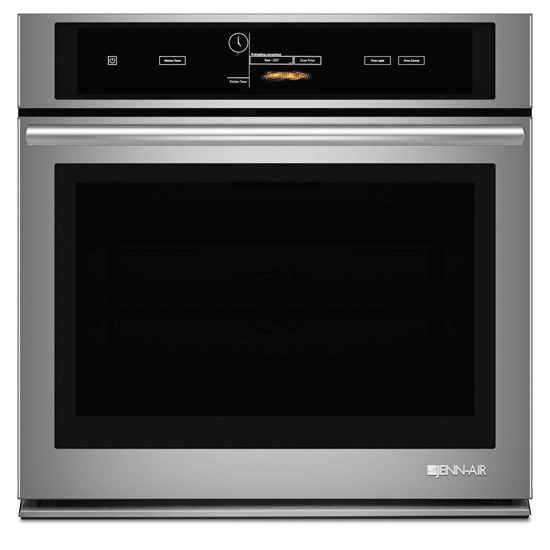 Whirlpool has invested $300M in Jenn-Air cooking products since that time, and they are one of the best and most reliable brands in the affordable luxury segment. Currently, Jenn Air is introducing a new line of wall ovens scheduled to hit the market later this year. The biggest advancement in these will be the Wi-Fi technology they offer. This allows consumers who have an iPhone or Android smartphone to remotely manage certain oven functions. For those of you accustomed to using an Android operating system, you will find that Discovery IQ very familiar. In addition to some auto-cooking programs, Dacor mimics many of the same functions on your Android smartphone such as listening to Pandora, browsing the web and downloading apps simultaneously. You can even access the auto cooking modes, cooking times and other options from your tablet or smartphone. Dacor can alert you during cycle completion by text or email. I like this feature. You can do other chores until the email alert instead of waiting around. The app will enable you to remotely turn the on and off, check time remaining in the current cooking mode. The 'MyCreation' mode allows you to create and save recipes and also run diagnostics and maintenance. 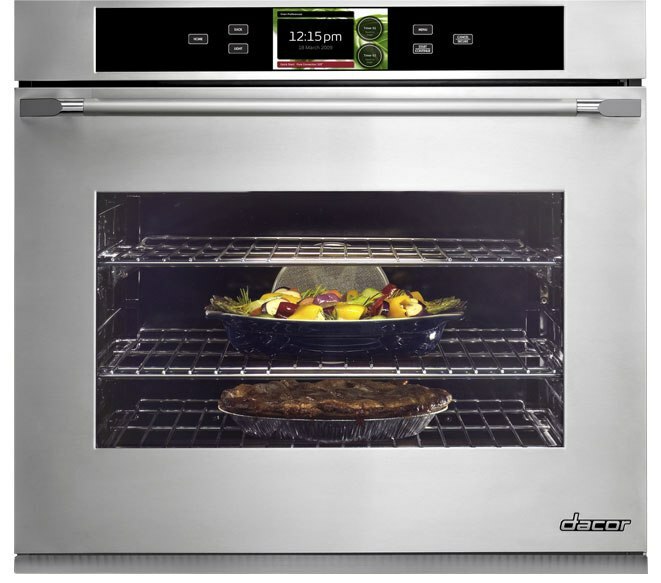 This wall oven also sports a 7” full color LCD screen that features the Jenn-Air culinary center. The Culinary Center was pioneered in their last wall oven series and is still one of the best auto cooking programs on the market today. This intuitive feature takes the guess work out of cooking. Jenn-Air is also the only company that has the technology that displays full color pictures of the foods level of doneness. First, Dacor has the oven available now. Jenn-Air is looking for a September release. Of course, their last induction range introduction is now delayed by 6 months. Dacor, however, was first with this technology. I like the 3rd generation family owner who understands customer satisfaction. We will see if that translates to the manufacturing quality. In terms of the product, Dacor has interesting controls with easy access to the internet for recipes and Pandora right on the oven. Get The Yale Wall Oven Buying Guide with features, specs and inside tips to all the brands like Wolf, Miele, Dacor, Jenn-Air, Thermador, KitchenAid and more. Well over 110,000 people have read a Yale Guide.